Common among certain solid stone thin-veneer marbles is a phenomenon known as Hysteresis; sometimes referred to as thermal-hysteresis. Simply put, this is a differential, permanent volume change in the stone panel due to thermal cycling. Research has determined that this process of thermal hysteresis occurs when the outside face (exposed face) of a stone panel is repeatedly heated and cooled at a dramatically different rate than the inside face.. When the calcite granules present in the marble expand, a bond is broken in the calcite binder - a bond that cannot be mended when the thermal cycle is completed. The result is a volumetric disconfiguration of the stone panel. The stone panel surface expands, but it does not fully contract after the warming cycle and the panel bows. The associated cracking of the material greatly reduces the flexural strength of the stone resulting in the possible failure of the stone panel, a very dangerous condition. This condition is visible from the bowing and "dishing" of the stone panels and causes considerable added loading of the stone anchors leading, again, to possible failure. Some marble traits that lead to this condition are course veining and inconsistent material strength, both of which can vary greatly, even within the same quarry. These traits, inherent to certain white marbles, reduce the likelihood of achieving a white marble cladding with the integrity required for the exterior of any building. 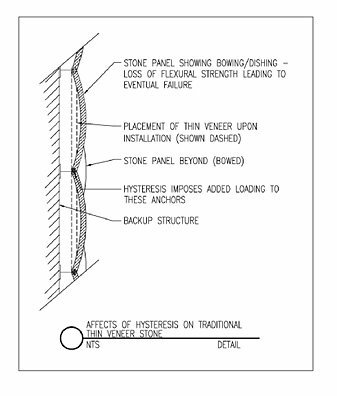 The problem of hysteresis in marble has lead to some major stone cladding failures which have cost millions of dollars and put lives and property at risk. These problems could have been avoided by the use of StonePly panels instead of solid stone slabs. In numerous tests, both in our labs and with independent researchers, the StonePly panel, with the thin stone stone facing and honeycomb reinforcing, have proven their ability to remain dimensionally stable while solid stone marble cladding panels have bowed. 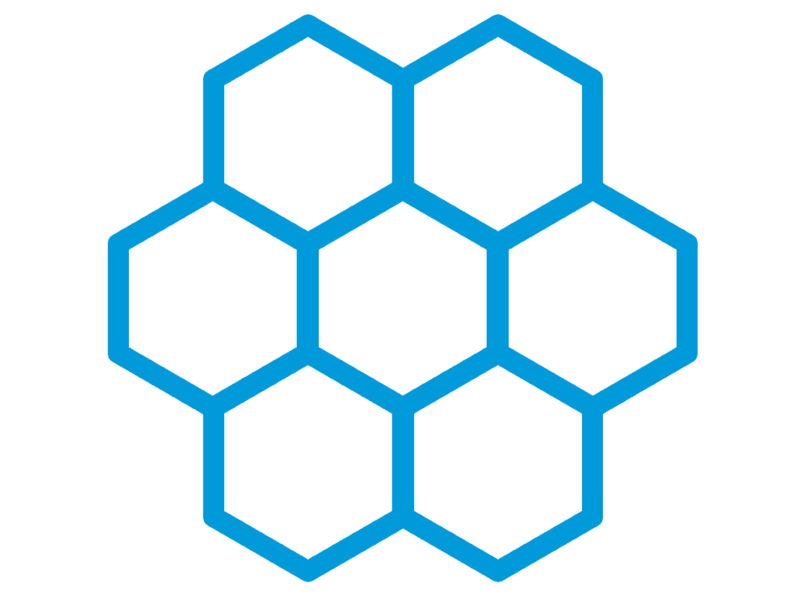 Testing has shown that StonePly does not suffer the problem of thermal hysteresis. The strength of an aluminum backing, fully adhered to the stone with aviation epoxies, eliminates the weaknesses inherent in traditional thin-veneer marble applications by providing the flexural strength needed for exterior stone cladding. The added strength, reduced material cost, and ease of installation is why this system is one of the strongest solutions for providing marble cladding worldwide.